Hello Peaches and happy Wednesday! I have a quick post for you today as I have been super busy teaching this week. But you know me; I just HAVE to fit in some crafting time, lol. Today's card is a "bit" of Christmas (sorry, not sorry). I just can't help myself. I'm a huge fan of Christmas and as I've shared before with you, there never seems to be enough time to make holiday cards for everyone and you KNOW I'm not going to send store bought. Those are contraband in ny house, lol. So on to today's card. I'm featuring a favorite called Santa's Sleigh from last year's holiday catalog that rightfully made its way into our annual catalog. This stamp set and dies comes jam packed with beautiful images and sentiments, everything one would find in Santa's sleigh. I started with a piece of Whisper White cardstock cut at 4" x 5 1/4", and I used the brand new Winter Wonder textured impressions embossing folder, orienting it towards the top right of my panel. I like to offset my images because I feel like it gives it more character and interest. After I embossed my snowflake I die cut a few gold snowflakes in various shapes and sizes from the Seasonal Layers die set. The last part of die cutting was to die cut the sleigh out of Real Red cardstock. There are two layers to the sleigh in this die set. I cut both layers in Real Red to create a textured look. I just love how vibrant and rich this red is. It's exactly the type of red I always picture for Christmas. I stamped a few star images from the set in Emerald Envy on a small strip of Whisper White. This piece ends up being a bit hidden though in the background. I also took a small strip of Real Read cardstock and cut a few slivers of Gold Glimmer paper to create glittery stripped patterned paper. 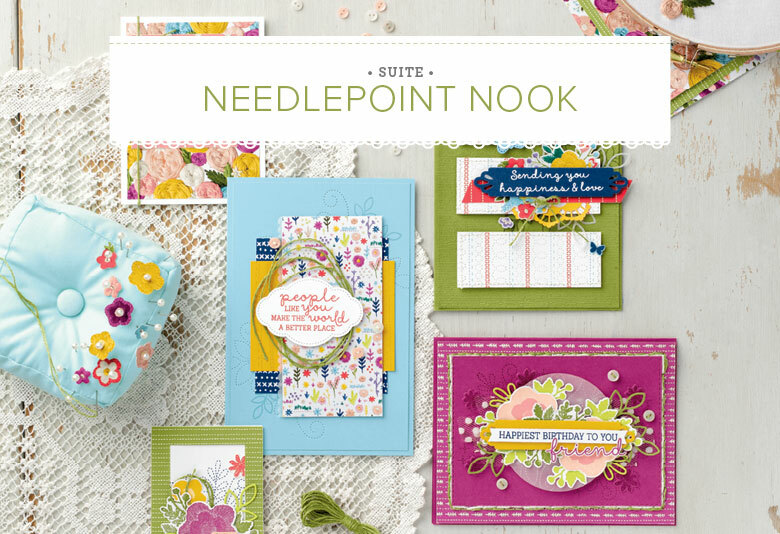 I love creating my own patterned paper by stamping or adding other colors/layers of cardstock. It allows me to add my own creative flare to my projects. Lastly, I assembled my sleigh, accents, and sentiment. I added some Gold Mini Sequin Trim for some bling, and that finished off my card. Thanks so much for stopping by and I'll see you next post! If you’ve considered joining, it's a truly great time! 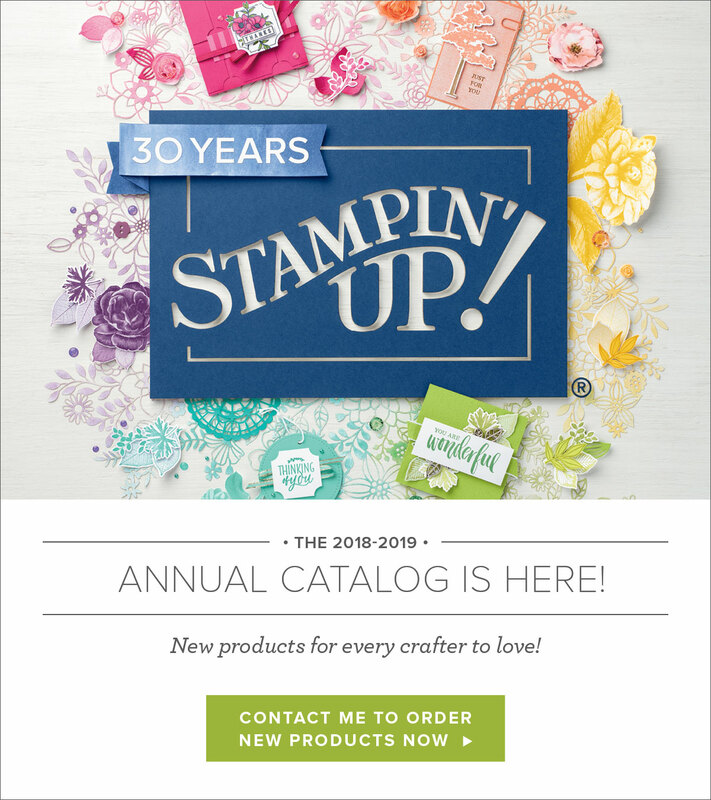 For just $99, you can select $125 of your choice of product AND earn a 20% discount on your purchases from the Annual Catalog. This is an amazing deal! If you want to join my team, click here or please email me! Say Hello to the Merry Patterns Host Promotion! Labels: card making, Christmas, Christmas Cards, crafting, handmade cards, Holiday Cards, Santa's Sleigh, Stampin' Up! Happy Monday Peaches! Wow, I'm so glad we're on to a new week. It seemed like the last week had just drug on and on. Now that I've had a beautifully refreshing weekend I'm ready to share a card that is also beautiful and refreshing-see what I did there? 😉 I decided to go with colors that reflected my mood which was bright and happy and playful. I just love how these colors mix and blend together effortlessly, as if they were made for each other. My watercolor card was begun by using Peekaboo Peach and Flirty Flamingo Classic Stampin' Pads. I'll briefly explain how to use your ink pad to watercolor with as I have explained in further detail in previous posts. You will squeeze the closed pad together so that the lid will lightly touch the pad inside and collect ink in the well of the lid. Then you take your Aqua Painter and dip it in the ink. You can choose to add as little or as much water as you like to the ink well. However keep a few things in mind. The more water you use, the lighter, more diluted the color will be. Likewise, the less you use, the more vibrant and concentrated your color will be. I recommend starting light and then adding more color. If you add too much color, the beauty of watercoloring is that you can easily remove some of the color by adding clean water with your painter. Keep in mind that these tips/tricks only apply when using watercolor paper. If you use regular cardstock the ink will behave differently. Another important tip is that if you have used a lot of water, when you are finished with your project you will need to clean out the lid with a paper towel or napkin do that any extra residual water does not transfer to your ink pad as this will result in a diluted ink color in your pad. So now that we've discussed a few watercoloring tips, I'll explain how the rest of the arcade came together. The watercoloring part is quite simple in that it's quite an organic process. You just pick up some ink with your Aqua Painter and choose where you'd like the color. I started with a piece of 4" x 5 1/4" piece of Watercolor Paper and began in the upper right corner. I started with Peekaboo Peach as it was the lighter of the two colors and I knew I could easily overlap it with the Flamingo ink later. At this point you can choose to let the ink dry and add more color for a brighter result or as I have done, begin adding the Flirty Flamingo ink. The other benefit to adding the second ink right away is that the colors will mix and blend together. If you do not want this, I recommend letting the first color dry before adding the next, but I was going for a softer, blended look so I didn't wait for mine to dry in between. After I allowed my project to dry, I took one of the smaller patterned stamps from the Oh So Eclectic stamp set (looks like a bunch of small "+" signs) and stamped it around the area in Flirty Flamingo, where I had watercolored. I found after doing this that the stamped images where not subtle enough for me so I took my Aqua Painter and went over them to soften them. As that party dried, I stamped and die cut a few leaves from the Eclectic bundle and watercolored them as well. I also used the largest die from this bundle for an accent in the background. This large angled die is intended to just die cut the negative spaces, leaving behind a fun shape within your project. However, I decided to cut out the entire shape from my cardstock. I did this 3 times so that I could adhere them all together so that I had a thicker chipboard type piece afterwards. Then I adhered it to my watercolored panel. For my sentiment, I took the heart shaped die with the word "lovely" in it and die cut it out of Peekaboo Peach and just cut the word from it. I also stamped a coordinating sentiment in Flirty Flamingo ink and adhered both to a vellum heart. I added a few sequins and that finished off my card! Thanks so much for stopping by and I'll see you next post! Hi Peaches! I have another color challenge for you this week! 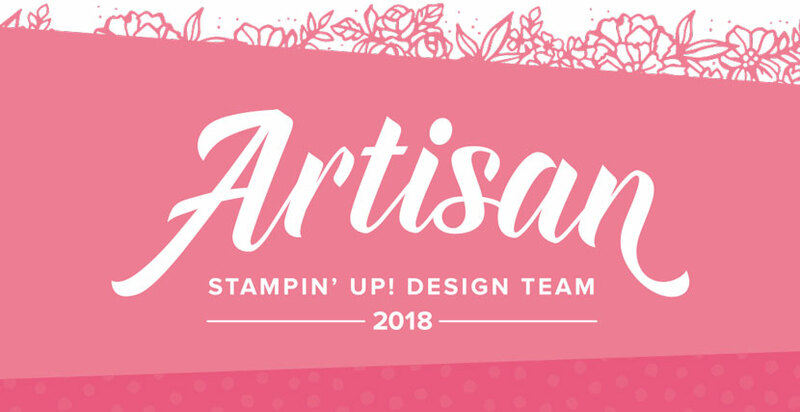 Over on the Global Design Project page they have a great new challenge featuring Peekaboo Peach, Tangerine Tango, and Lemon Aline Twist. That sounds like a delicious mix to me! However, for my project submission I chose a pumpkin themed card. Here the weekly color challenge below. 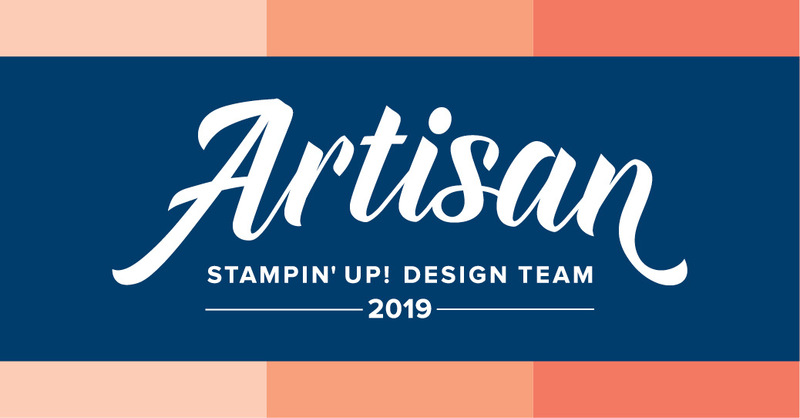 Click here to see the challenge along with all the other beautiful designs the team has come up with! To start my card, I took a piece of water color paper. I took my Lemon Lime Twist ink pad and Peekaboo Peach ink pad and squeezed the lid (while its closed) and the bottom part of the pad together so that the ink collects a bit on the inside of the lid. Then I took my aqua painter and created a stripe pattern with both of the inks. After that dried I took some Lemon Lime Twist cardstock and die cut some leaves from the Pick a Pumpkin dies and Flourishing Phrases dies and inked them with the coordinating ink. I die cut one of the pumpkins from the die set, adhered it to some inked cardstock and cut it out. I added all my layers, along with a sentiment from the One Big Meaning stamp set. The last details are the tiny stars. They actually came from the pumpkin with the stars from the Pick a Pumpkin die set. After I adhered them in place. I added some glue from the Fine Tip Glue Pen to make them shiny. And that's my card for today! I love how refreshing these colors look together! Thanks so much for stopping by! See you next post! Hello Peaches! I hope you had a wonderful weekend! We certainly did. Since my husband is going to be gone for a work event all week next week we did our best to spend as much family time together as we could. We've actually never been apart that long since we've been married for the past 11 years, so I'm already a little sad because I know I'm going to miss him immensely. Hopefully the week will fly by and he'll be back before I know it. In the meantime , I have quite a few craft projects planned, because we all know that crafting makes time just pass way too fast, at least for me, lol. On that note, here's today's project. Actually the colors were inspired by a question my team leader posed on our group page. She asked everyone what their favorite color combos for Christmas were. I'm more of a traditionalist so I love reds and greens with a touch of gold, but I got me thinking. What other color combos would look great together? I just love the look of Crumb Cake with Cherry Cobbler and of course touches of gold. I feel like these colors are very elegant, and rich, without being too overwhelming with the greens and reds of traditional Christmas colors. So I started with a Crumb Cake cardstock base and cut the second layer 4" x 5 1/4" of the same color. I stamped the second layer with some of the house and tree stamps from the Hearts Come Home stamp set in Crumb Cake ink. Then I die cut the Detailed Santa Thinlit Die out of Whisper White cardstock. I then adhered it to a solid piece of Whisper White to create dimension. Next I took some vellum, along with the 3 different house stamps from the stamp set and first stamped them in Versamark ink in a row on the vellum, and then added gold embossing powder, and heat set it. I also heart embossed one of the sentiments from the set in Whisper White embossing powder onto Basic Black cardstock. I also used the dies from this bundle to cut a row of houses that I trimmed down to fit my card. I chose a few gold accents like the Mini Gold Sequin Trim (one of my absolute favorite embellishments from the new catty!!!) behind my layers of Cherry Cobbler, vellum, and Detailed Santa tag. Oh, by the way, to get the adorable scalloped tag top of the Santa tag, I just took my freshly die cut Santa piece and ran it through with the tag top die (the one with a tiny heart in it) from the Hearts Come Home bundle dies on the top portion of my Santa die cut and now you have an adorable Santa tag! This would be great for Christmas tags as well! I just love this color combo and I'm so glad I gave it a try! What are your favorite Christmas color combos? I think I'll always be a traditionalist but I love giving new colors a try! Thanks so much for stopping by! I'll see you all next post! Labels: card making, Christmas, Christmas Cards, crafting, handmade cards, Hearts Come Home, Holiday Cards, Stampin' Up!